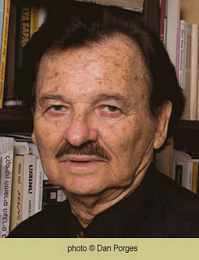 Shammai Golan (1933-2017) was born in Pułtusk, Poland. He spent World War II under Nazi occupation and in Siberia. After the death of his parents, he was placed in an orphanage and immigrated illegally to pre-state Israel in 1947. Golan studied literature and history at the Hebrew University of Jerusalem. Later, he taught literature, ran the Hebrew Writer's House in Jerusalem, and served as cultural attache in Mexico and Moscow. 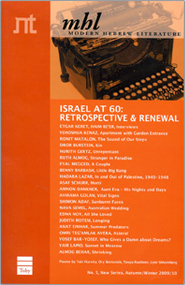 He was also chairman of the Hebrew Writers Association. Golan wrote for both adults and youth; he published novels, short stories and essays. His work has been adapted for radio and produced on stage. Golan was awarded the Barash Prize (1963), the ACUM Prize (1965), the Ramat Gan Prize (1972), the Agnon Prize (1976), the Wallenrod Prize (1979), the Tel Aviv Foundation Award (1982; 2004), the Cheno Prize (Mexico, 1986), the Prime Minister's Prize (1991) and the Zionist Federation Award (2007).